↑ The PFA Premier & Football League Players' Records 1946–2005. Queen Anne Press. 2005. p. 348. ISBN 1-85291-665-6. 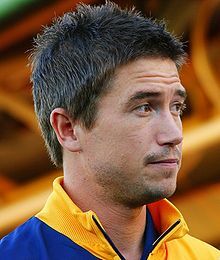 ↑ "Harry Kewell". footballaustralia.com.au. Football Federation Australia. สืบค้นเมื่อ 15 January 2014. ↑ "Harry Interview from Leeds, Leeds, Leeds magazine!". Angelfire.com. 1996-12-07. สืบค้นเมื่อ 2015-04-03. หน้านี้แก้ไขล่าสุดเมื่อวันที่ 31 พฤษภาคม 2560 เวลา 14:38 น.